Between now and November 8, 2016, Americans will receive upwards of 10 billion political campaign emails. These emails, with other CRM efforts, drive the lion's share of individual campaign donations that, in turn, drive successful campaigns. At Havas helia our specialty is data and CRM and we are capturing and analyzing the CRM communications from every major party candidate for President from now until the election. Everything from pride and promotion to desperation and back-pedaling is practically telegraphed via email to the most ardent supporters of the people vying to be elected President in 2016. At SXSW we will reveal what worked and what didn't leading up to Super Tuesday on March 1, 2016. Kyle J. Britt is a strategist and data storyteller as well as the co-host of the Data Defeats Truman Podcast, an honest, non-partisan study of what candidates say via email & social media and the impact it has on the 2016 Presidential Election. 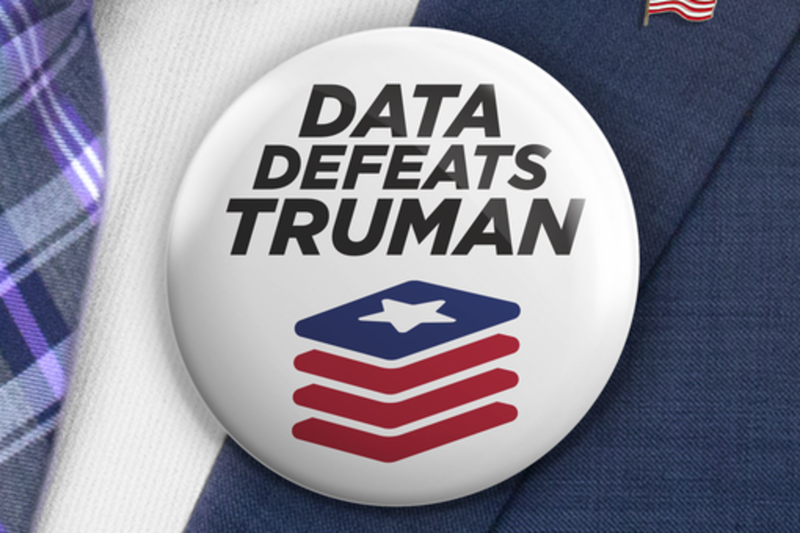 Data Defeats Truman is presenting at SXSW 2016, Saturday March 12 @ 9:30AM in Salon G @ The Downtown Hilton. Kyle has worked in digital marketing and advertising, both on the client side and the agency side, for a dozen years while also founding or co-founding three companies. Kyle has been a strategist for companies in almost every key vertical and led efforts to debut new technologies and drive revenue through social, CRM, digital advertising, and web production. As an entrepreneur Kyle designed and produced one of the top 10% most successfully funded Kickstarter projects of all time, #TheDollarWallet, a simple, minimalist wooden wallet that sold to backers in all fifty states, forty five countries, twelve military bases, and two prisons. As a digital and brand strategist, Kyle has worked with Fortune 500 companies & amazing brands including Google, Ford, Allstate, Sony Music Group, AutoZone, PayPal, Sony PlayStation, NCAA Football, Michelob Ultra, Liberty Mutual, Dish Networks, OhYeah Nutrition, Cracker Barrel, and Bojangles Famous Chicken ‘n Biscuits as well as non-profits including The Mint Museum and Levine Children's Hospital. In his spare time, Kyle edits ridiculous videos for the 10MM+ people who have watched his videos on YouTube. Kyle's videos have been featured on Gawker, Huffington Post, AV Club, Newsweek, The Consumerist, The Soup, Kottke.org, The Verge, Movies.com, Vulture, and more. As a speaker and educator, Kyle has been invited to speak at national industry conferences and lectured at universities across the country as well as serving as the course writer for the first course in digital marketing for Ringling College of Art & Design’s Advertising Design Major. Michael brings over 10 years of email marketing experience to his role at Havas Helia and their unique clientele. He enjoys the intersection of data, creativity and analytics inherent in each email campaign. At previous stops including PayPal, the Corporate Executive Board and MedStar Health, he moved the needle with a combination of clarity, creativity and gut instinct. He previously spoke at Eloqua's 2012 Experience.